It was a make or break moment the likes we haven't seen since the 2002 qualifiers. 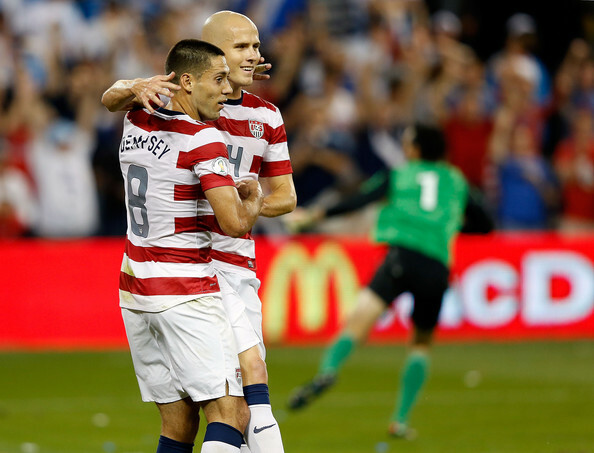 The US national team needed at least a tie versus Guatemala to advance to the final Hexagonal of Concacaf qualifying for Brazil 2014. They made their case and they broke Guatemala by 3-1 in what could easily have been a more dominant score. As with political campaigns, this game was about coming out punching. Team USA pressed from the first second but a mishap in communication between Cameron and Bocanegra meant that a lofted ball got to Pescadito Ruiz's boots for an easy one-on-one versus Howard for the former MLS player. 0-1 wasn't the way Klinsmann wanted it. But Bocanegra answered back 5 minutes later thanks to a headed assist by Dempsey. And yes. Dempsey returned tonight with a vengeance after critics categorized him as dull and ineffective at Antigua and Barbuda last Friday. An assist and two goals later and the Tottenham Hotspur ace has once again carried team USA. There were a few kinks in the defense today, something that Klinsmann will need to continue to work on after so many months of trials. Does Bocanegra retain his spot? Can Tim Ream or Omar Gonzalez break into the fold? As for left back it is Fabian Johnson's spot but in his absence a person like Eric Lichaj should be considered ahead of Edgar Castillo or Michael Parkhurst, simply because of what he did with the position when he had it. Right back is Cherundolo's position and one that can be manned by the likes of Lichaj, Sean Franklin or, if ever, Timmy Chandler. The offense clicked today for Klinsmann. Possession, passing and calculated moves was what we saw. Graham Zusi has been a revelation and we should expect interest from Europe in the coming months. In the absence of Landon Donovan and Brek Shea he has performed with etiquette and flair. It was a vision of a post-Donovan era, but we will need the all-American for the Hexagonal and, if we're lucky, for the World Cup as well. 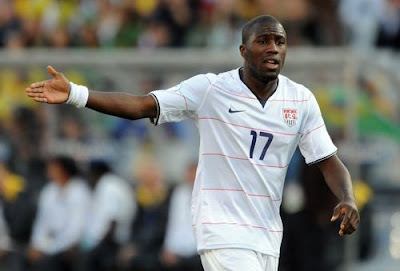 Eddie Johnson and Herculez Gomez did their job as strikers but the talent that Jozy Altidore, Chris Wondolowski and Terrence Boyd possess cannot be forgotten. Indeed, we will need all of these players in the ten games reserved for next year's Hexagonal. Somewhere in that time a true stable lineup will finally be drawn by the US coach and some semblance of continuity can finally reign over the national team. This is sorely needed and perhaps the root of some of the more deplorable games in the qualification semifinals we just experienced. The latest of the Juergen Klinsmann surprises came earlier today when the roster for the most important qualifiers was released: Jozy Altidore and Terrence Boyd left off the squad. This is potentially the most important snub in Klinsmann's short history with the US squad. Instead of those two players we have Alan Gordon and Kyle Beckermann. As soon as the national team players were announced on the web, Twitter and Facebook erupted with anger, surprise and contempt. How is it that one of the best forwards US has isn't called up for these games? Why does Alan Gordon get the call? Jozy Altidore has enjoyed perhaps his best start to a season in his short career: 8 goals in 7 league games and a goal in cup competition. And yet, for all his accolades in recent European play, Altidore has not scored for the national team since a penalty kick versus Slovenia in November 2011. He has looked a bit lost at times with the national team and not much of a threat. Some argue that this is because he has had no service in the US squad compared to the total football practiced in the Dutch league. Whatever the reasoning might be, the truth is that he is too valuable to not be a supersub at the very least. Then we have Terrence Boyd. The German-American was surprisingly left off the squad despite having a standout first season with Rapid Vienna, including a key goal this past weekend. The 21-year old has 5 goals in 9 games in league play so far this season. If anyone can offer a last-minute change of pace, it is definitely Boyd. Then there is the inclusion of Alan Gordon. The 30-year old has hardly made an impression with the US squad and has been spotty, at best, with his whirlwind MLS career. Gordon started with the USL version of the Portland Timbers and joined the LA Galaxy in 2005. He was with the Galaxians during the initial phase of the Beckham experiment and had good moments with the team. It wasn't until his recent form with San Jose that his career really made a positive change. With 9 goals this season in the high-scoring team, although not starting every game, his stock seemed to rise with the US coach. But is he really a better option than the near-record-setting Chris Wondolowski? The addition of Brek Shea and Klye Beckermann also prompt some head scratching. Shea has been nursing injuries lately and not playing much for less-than-perfect FC Dallas. Beckermann enters this team in a bit of a surplus role as defensive midfielder, considering that Bradley, Jones and Danny Williams could all feature with the squad. 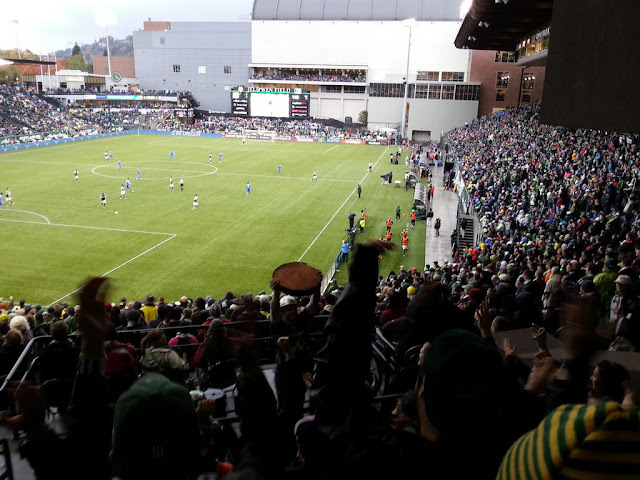 If this were just a friendly it would be called an Alan Gordon experiment (thanks, Grant Wahl). But this isn't that kind of game--two games in fact. A failure to win at Antigua and Barbuda this Friday would set the stage for a must-win match versus Guatemala next week. And if things turn out badly it would mean missing out on the final Hexagonal tournament, and yes, no World Cup 2014. Really? Yes. So not having Altidore or Boyd will remain what it is: wisdom in picking the right players at the right time and a worry that this could by Klinsmann's last couple of games with the US national team.